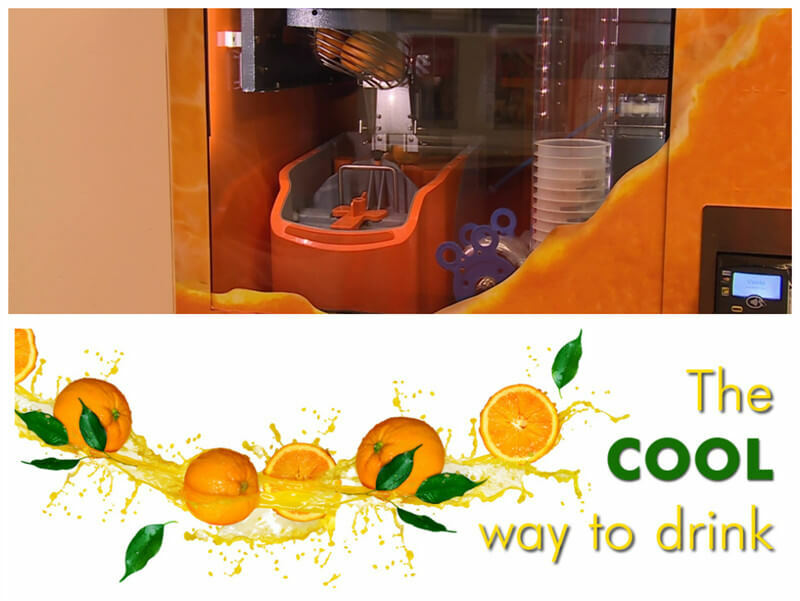 This juice extractor is specially designed for making fresh orange juice. The orange juice extractor adopts squeezing way which can realize an automatic process of skinning, extracting and filtering. The produced juice has no seeds and no residue so that tastes very good. 1. The orange juice extracting machine has the compact structure and delicate design. 2. Automatic feeding and juicing process, the extracting rate can be 40%. 3. 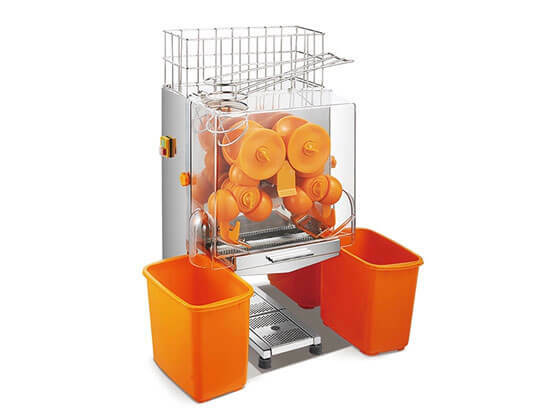 The orange juice machine is made of stainless steel which is anti-corrosion and easy to clean and sanitary. 4. The whole juicing process can be finished in a very short time, the juice is originally nutrient and tasty. There are various types of orange extractor available on the market today, while how to choose a suitable citrus juicer is important for us. First, you should know clearly the daily production quantity of orange juice. If you press hundreds of oranges for commercial purpose, you should choose a juice extractor of high automation, while if you just make one or two glasses of fresh juice per day, a small delicate one is enough. For this type orange juice maker is suitable for home use and small-scale commercial use. ● A significant advantage of this orange juice said by one of our customers is that It is so interesting a thing to watch the oranges roll down to the feeder chute and pressed, then the juice flow from the other end. ● “Stainless steel design catches my eyes first and it’s the main reason that I love it”. Many people choose to make fresh juice is just for hygiene and convenience, so the material quality takes a big difference. 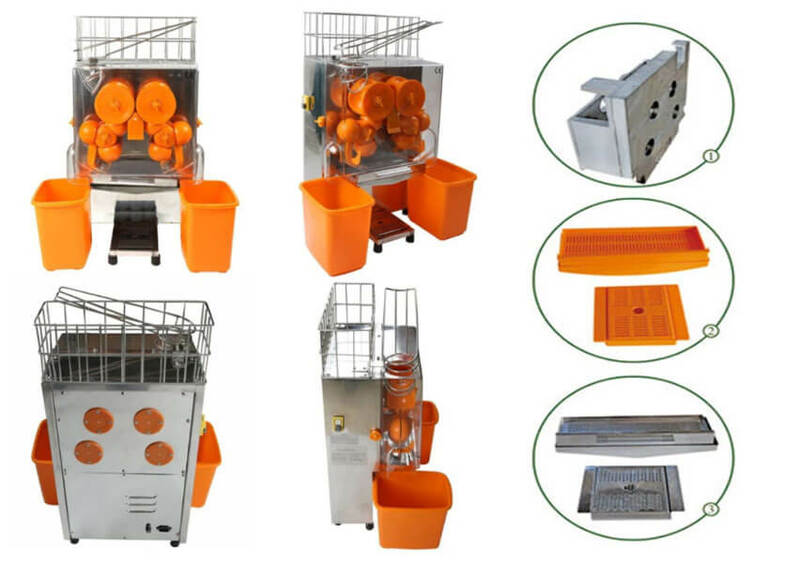 ● " While the main attracting point for me is definitely the price, so cost-effective one" Orange juicer prices present a large difference in different countries, many people choose China juice extractor supplier because of the high cost-effectiveness. Orange juice extracting machine is an ideal orange juice making machine, widely used in hotels, restaurants, small drink shops, fruit shop, restaurants, hotels, bars and other leisure venues. First, place the machine and connect the power plug to a grounded power and turn on the power switch. Then, put the orange into the feeding mouth, the following is the juicing press. The juice will flow down from juice outlet and residue will spurt from the residue outlet. 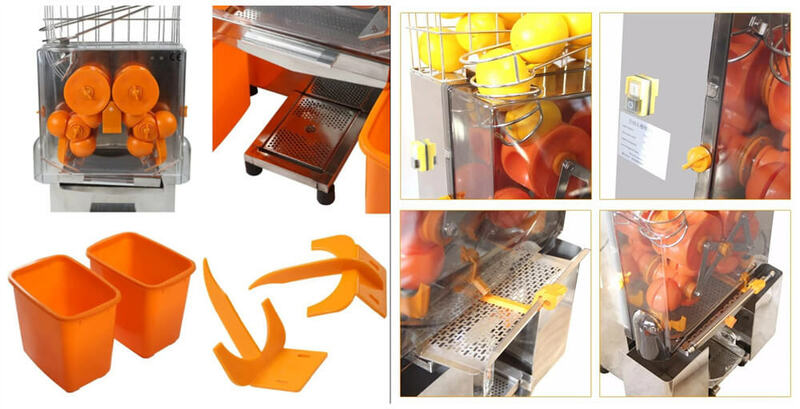 Orange juice extracting machine has fashion design, reasonable price, and good quality. It also has a wide range of applications. With the concept of raising the level of food consumption, the freshly squeezed juice will enjoy more popularity than the carbonated beverage drinks. So owning a juice extracting machine can not only enjoy fresh juice at any time but can start your own business.